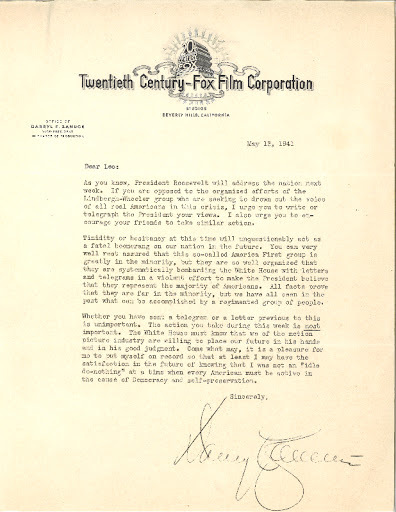 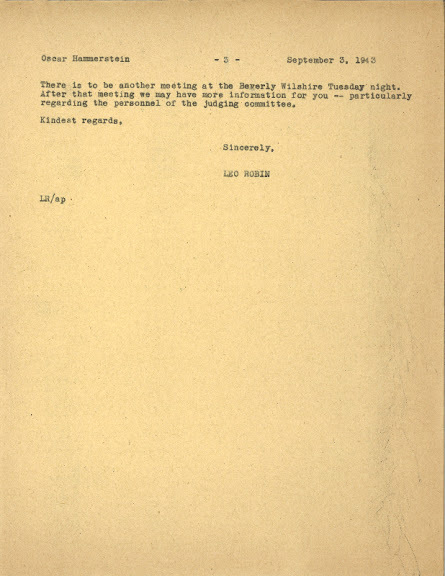 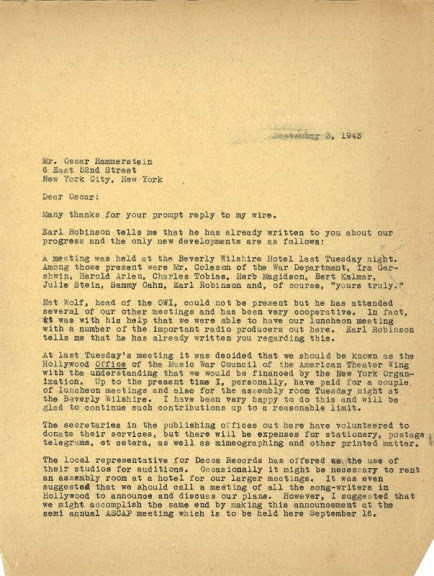 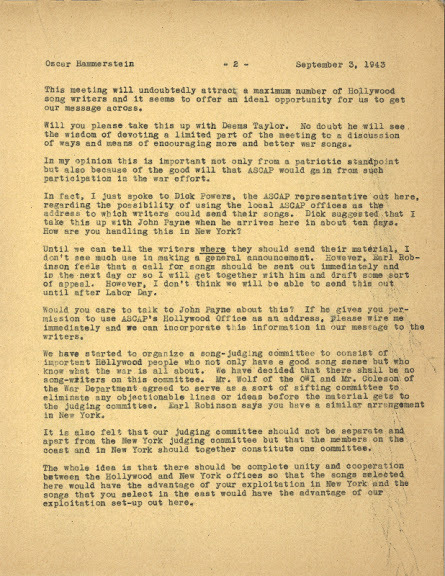 Darryl Zanuck, Chief Executive of Twentieth Century Fox, sent this letter to Leo on May 13, 1941 urging him to write to FDR. 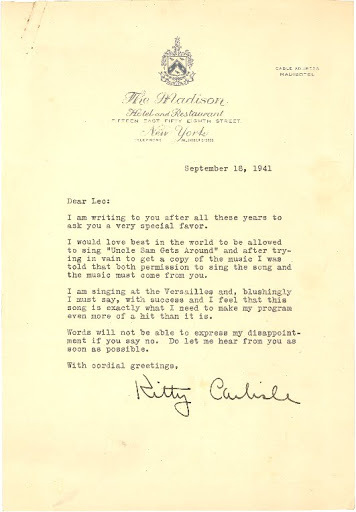 Patriotic Contribution from "Uncle Sam Gets Around:" Letter to Leo dated September 18, 1941 from Kitty Carlisle asking if she could use Leo’s song, “Uncle Sam Gets Around,” to add a patriotic note to her cabaret show at the Versailles. 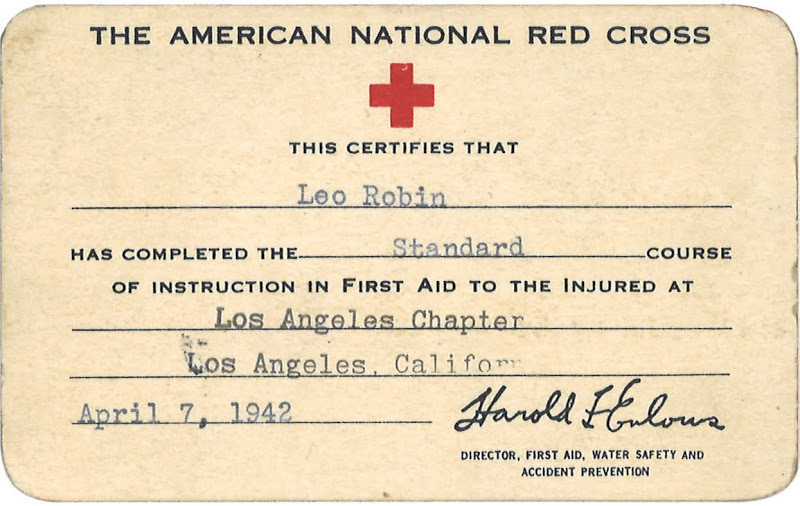 Kitty had known Leo ever since they had worked together back in 1934 on the Paramount movie, Here Is My Heart. 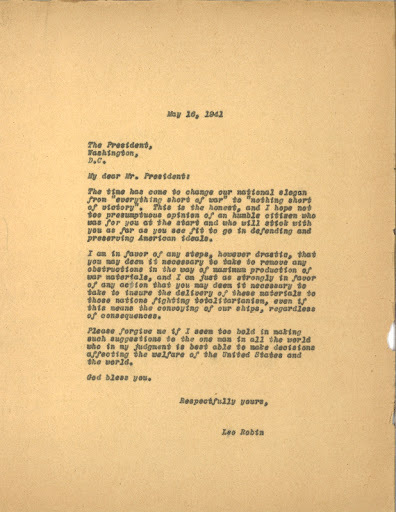 Patriotic Contribution from "Uncle Sam Gets Around:" Carbon copy of Leo’s response to Kitty granting her permission to use “Uncle Sam Gets Around." 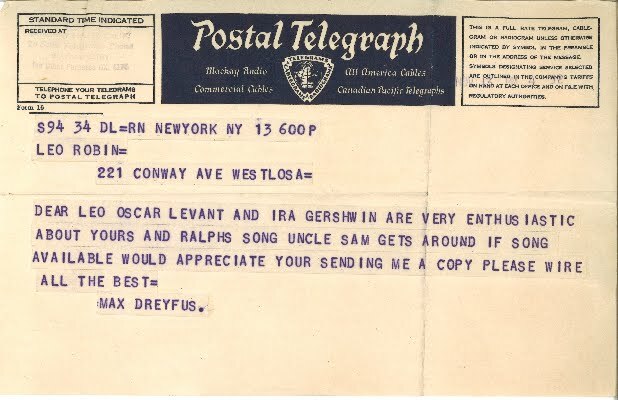 Patriotic Contribution from "Uncle Sam Gets Around:" Based on Ira Gershwin’s and Oscar Levant’s enthusiasm, Leo’s old boss, Max Dreyfus, the person responsible for sending him out to Hollywood all those years ago, requests a copy of “Uncle Sam Gets Around." 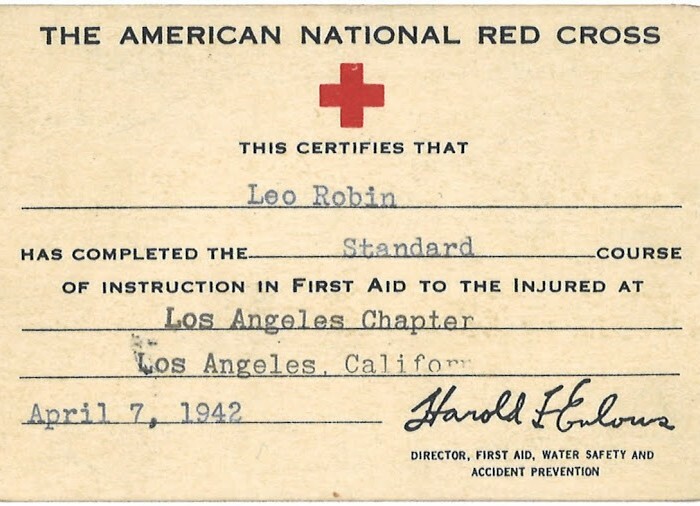 Leo was certified on April 7, 1942, the day after his 47th birthday, by the American National Red Cross. 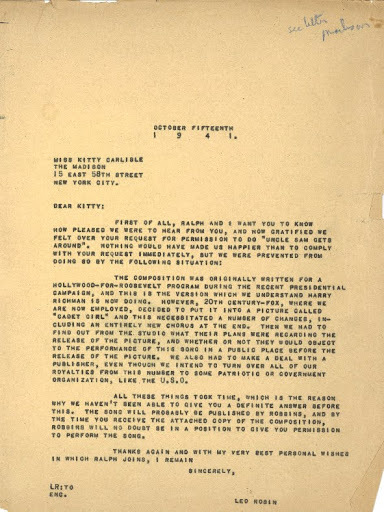 In addition to using his god-given talent as a lyricist by writing such patriotic songs as "Uncle Sam Gets Around," he also served The American National Red Cross during World War 2. 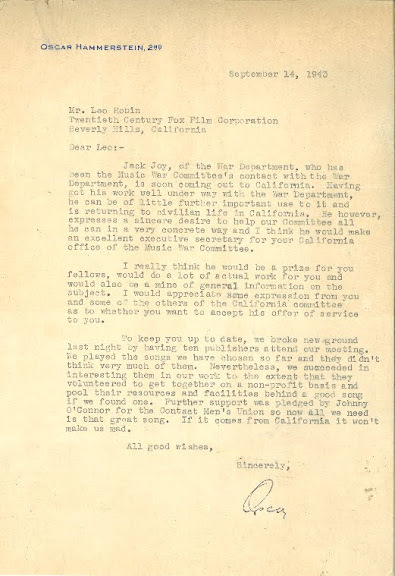 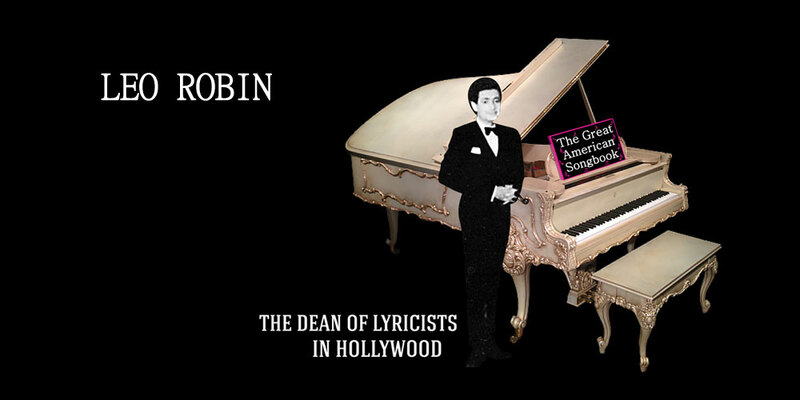 It is interesting to note that as early as 1941, Leo had already written lyrics for several ‘war songs’ including “Uncle Sam Gets Around,” which appeared in the film, Cadet Girl and “I’m Saving a Dime Out of Every Dollar,” with music by Ralph Rainger and recorded by Bing Crosby for the benefit of the Treasury Department.